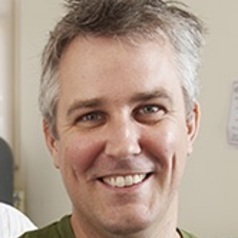 Nick joined Curtin as an Australian Research Council (ARC) Linkage International Postdoctoral Fellow in 2004 and subsequently involved with ARC Discovery Project (2006-2008) investigating the effects of deformation on the geochemistry of accessory phases (particularly zircon). Most recently, Nick was project leader for the geology of the Perth Basin as part of the WA Geothermal Centre of Excellence (2010-2012). Prior to his arrival at Curtin, Nick held a Royal Academy of Engineering Fellowship in the Department of Earth Sciences at the University of Liverpool (2002-2003) and was a Research Skills Trainer for postgraduate students at Liverpool's Centre for Lifelong Learning (2003-2004). He has an Honours degree in Geology from the University of Liverpool (1997) and was awarded a PhD in Geology from James Cook University, North Queensland (2002) for his thesis on "A tectonic evolution through microstructures: Orford to Piermont area of the New England Appalachians, western central New Hampshire".